The white Chicago police officer charged with murder in the fatal shooting of black teenager Laquan McDonald says he had never before fired his gun at anyone and maintains the criminal case against him stems from political pressure. 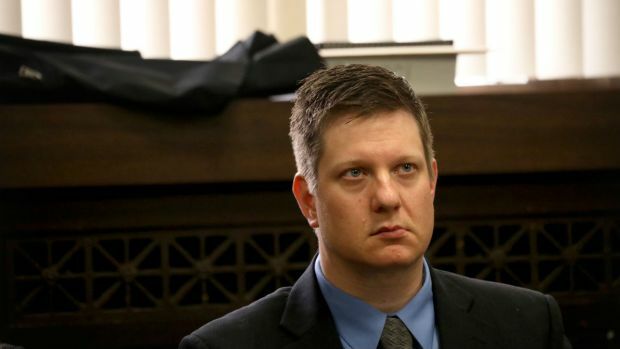 Officer Jason Van Dyke spoke with the Chicago Tribune on Tuesday, ahead of next week's scheduled start of jury selection in his trial over the 2014 confrontation in which dashcam video shows him shooting McDonald 16 times. Van Dyke says he wouldn't have fired his gun unless he believed he or others were in jeopardy. The Tribune reports that Van Dyke's attorney stopped him from discussing details of the shooting. Release of the shooting video sparked massive protests. Van Dyke says he believes politics have been involved since the investigation started. A judge set a trial date and location for the Chicago police officer charged in the 2014 shooting death of Laquan McDonald Tuesday. NBC 5's Kye Martin reports.